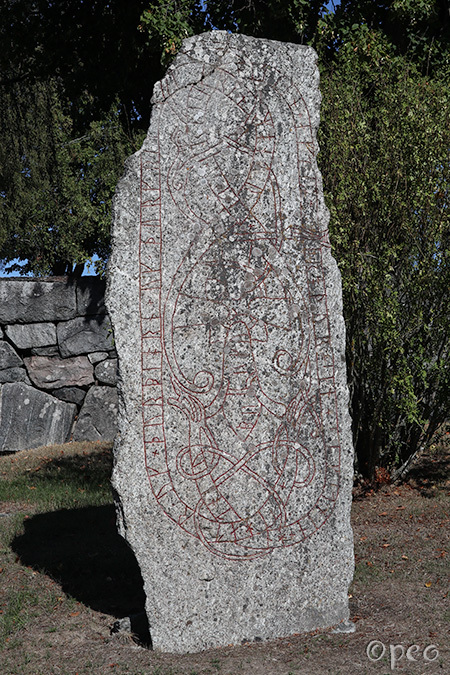 Sighvatr and Þorbjôrn and Þorgrímr and Erinmundr had the stone raised in memory of their brother Sigsteinn. He died in Véborg. I suppose that Véborg is Viborg in Finland, some 600 km away. Ásgautr and Sveinn (and) Ingifastr and Ingibjôrn and the daughters(?)/Dyntr(?) ... the stone in memory of Eistr, their father. And Œpir carved the runes. 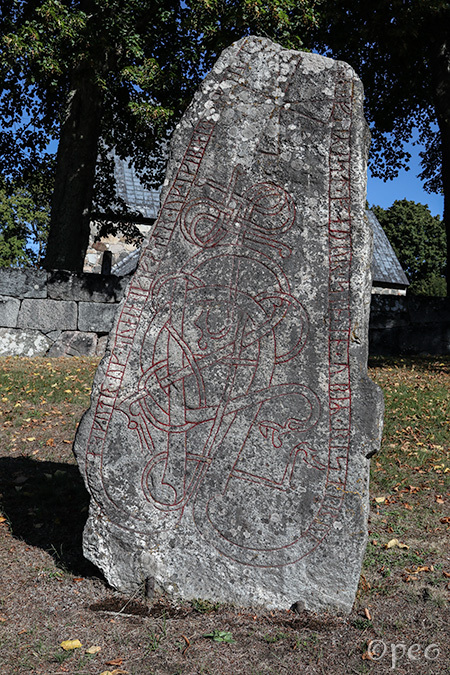 These two rune stones are standing just outside the churchyard of Össeby-Garn church. Inside the church are fragments of two rune stones.